As a food business owner, you know that “shelf life” matters. The longer your food shelf life, the easier the shipping, storing and selling – there’s no doubt about that. So, in today’s blog post, we’d like you to learn six basic methods of increasing the shelf life of food. These methods are used alone or in combination to extend the normal biological life of foodstuffs and to grow your sales. An easy, and probably most used method is to chill or freeze your product. This stops micro-organisms forming and if frozen below -18°C can almost kill these organisms altogether. This can also stop bacteria and moulds forming in your product. Micro-organisms can also be destroyed by heat. So ‘Hot-filling’ is a great way to stop them forming in the first place and is also used to maintain sterility in products. This method would be perfect for those of you who’s products are jams, syrups and sauces. Drying is an old and well-established method of preserving your product. Removing moisture from your product helps its shelf life dramatically. If concentrated salt and sugar solutions are added to the packaging, it will tie up free water and make it unavailable to micro-organisms. 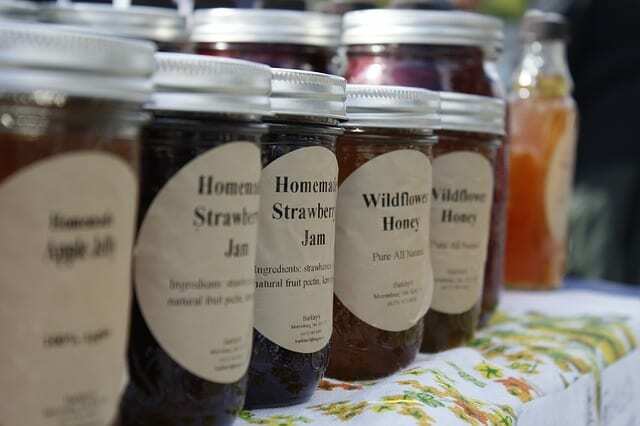 Jams and marmalades having high sugar contents do not require refrigeration for this reason. Some chemicals can be used in conjunction with some of the other methods mention here to prolong your product’s shelf life. Oxidation can be reduced by using antioxidants and oxygen absorbers. Oxygen absorbers have been used indirectly by being placed in separate pouches within a sealed pack. If your product is prone to oxidation and is packed in an atmosphere free of oxygen, the degradation has been removed. ‘Modified Atmosphere Packaging’ (MAP) involves the introduction of a gas mixture other than air into a pack, which is then left to equilibrate or change according to the nature of the system. Vacuum packaging may be regarded as a type of MAP, as it eliminates some or all of the oxygen in the packaging but if your product includes fruits and vegetables, this method is not applicable as they need air for freshness. In all, packaging contributes to the safe, economical and efficient movement, storage and use of a product. A thorough understanding of your entire supply chain is essential, including how the final user opens, closes, stores, uses and disposes of your pack. Good packaging design will take into account all of these needs for all levels of packaging, i.e. from the primary pack to the palletised load.